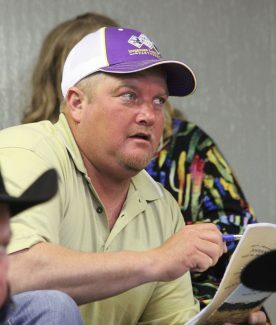 Brad Fenenga did the bidding for Fenenga Ranch, Hammil, S.D. Brad and brothers Tom and Clay purchased several Jorgensen bulls. 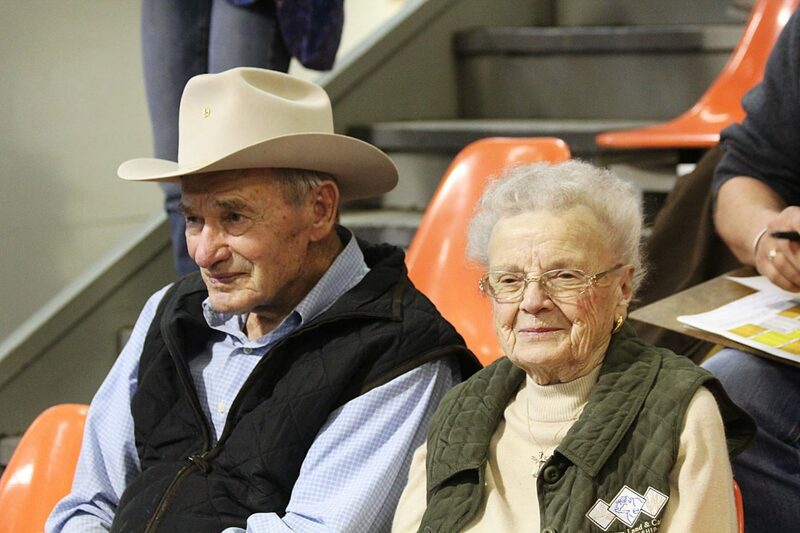 Kenny and Karyl Kauer, Winner, S.D., purchased several bulls for Tom Kauer Ranch. Bartels Livestock, Jason Bartels, Winner, S.D., purchased Jorgensen bulls. 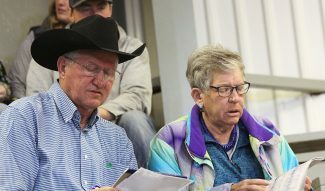 Martin and Mary Jorgensen were ringside for the 46th Annual Jorgensen Land & Cattle Production Sale. The Jorgensen Family and crew prepared for the worst, and endured a major spring storm that dropped 20 plus inches of wet snow pushed by 40 plus mph winds the days leading up to their 46th annual production sale. They brought the bulls to town early, so the bulls were sorted and bedded down the day before the storm hit. By sale day, things had settled down and a beautiful spring day with the temperature near 60 degrees was very welcomed by the nice crowd buyers on hand. The top selling bull was lot 7122, Ideal 7122 of REN Blackcap, a 3/17 son of SAV Renown 3439 with EPDs of CED 7 BW 1.1 WW 64 YW 114 Milk 34 that has a weaning ratio of 110, yearling ratio of 118. 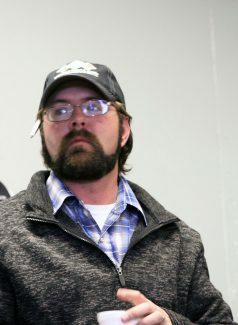 Repeat buyer Ede Breitmeier, Chinook, Montana, was the buyer at $14,500. Also selling at $14,500 was lot 7838, Ideal 7838 of 3444 Lady, a 2/17 son of Ideal 3444 of 5570 Jilt that has EPDs of CED -10 BW 3.9 WW 60 YW 103 Milk 31 selling to Risse UV Ranch, Martin, South Dakota. Tom Kauer, Winner, South Dakota, purchased lot 7275, Ideal 7275 of 1168 Marjorie at $13,000. This 2/17 son of Ideal 1168 of 9814 Lady has EPDs of CED 15 BW -2.7 WW 43 YW 82 Milk 33, with weaning ratio 119, yearling ratio 109. Lot 7111, Ideal 7111 of REN Blackbird, a 2/17 son of SAV Renown 3439 with EPDs of CED 4 BW .7 WW 60 YW 108 Milk 21 sold to Lynn Ballagh, Burwell, Nebraska, for $13,000. Also at $13,000 was lot 7113, Ideal 7113 of REN Marjorie, a 2/17 son of SAV Renown with epds of CED -5 BW 4.5 WW 72 YW 130 Milk 21, selling to Dan Duffy, Winner. Congratulations to the Jorgensen Land & Cattle crew on an excellent sale and great set of bulls.